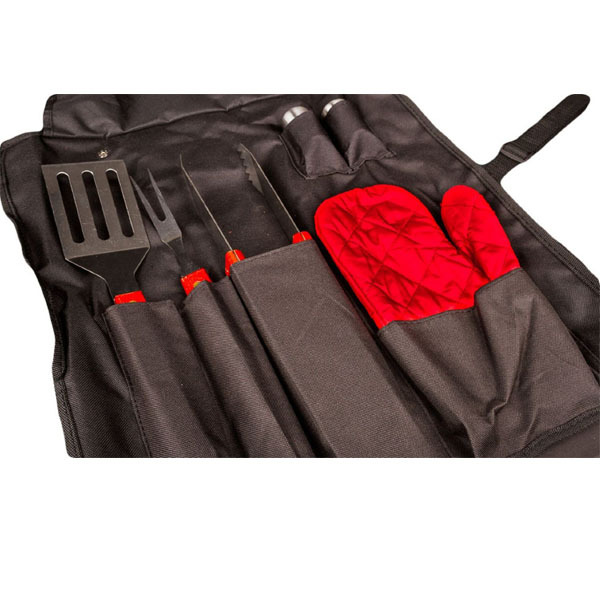 Chef's BBQ apron comes with compartments to hold all your grilling accessories. 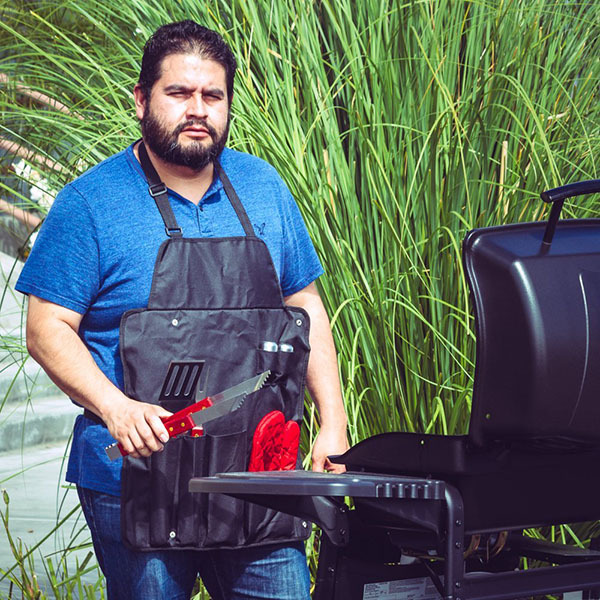 Made from China, this apron is the perfect grilling buddy for the BBQ chef in us. It keeps all your tools at the ready without missing a beat. 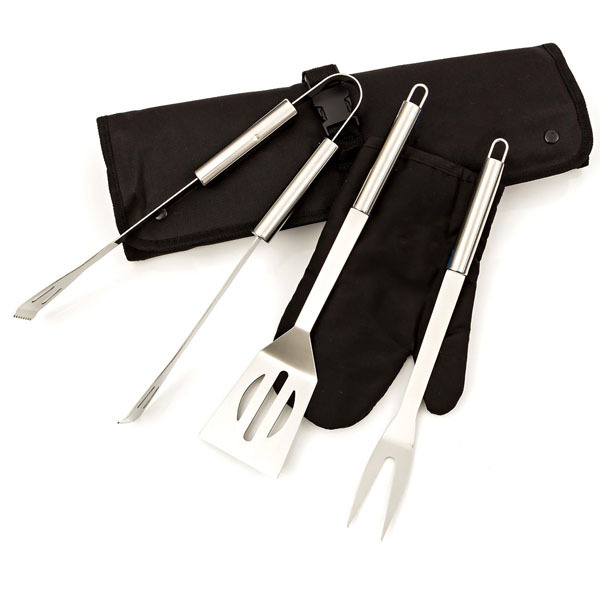 Comes not only with an apron but 14 inch spatula, fork, and tong, all with wooden handles. 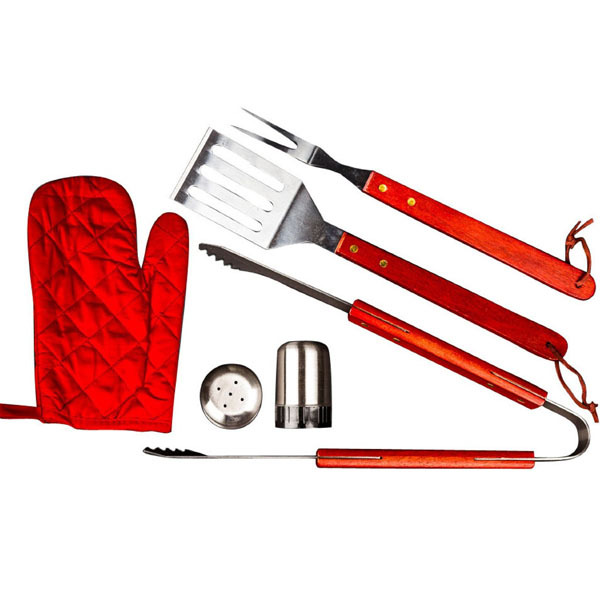 Includes an oven mitt, salt shaker, and pepper shaker. 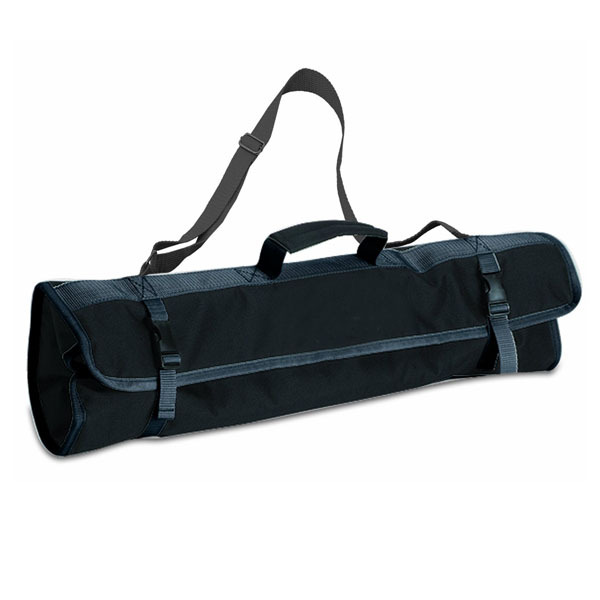 Easy to roll up and store. 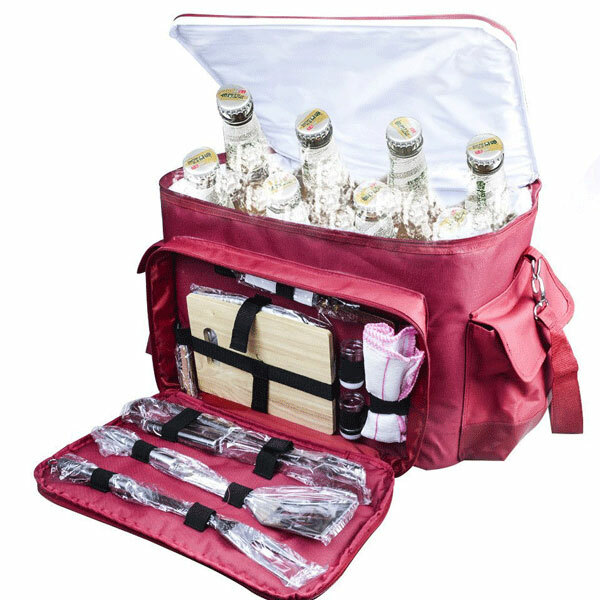 Great for all those summer barbecues, grills, pool parties, July 4th, Memorial Day, and Labor Day. 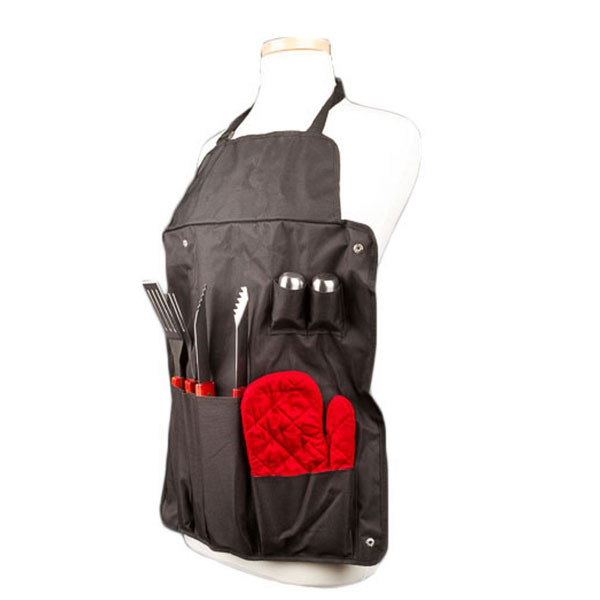 Get through summer with this Apron Set. 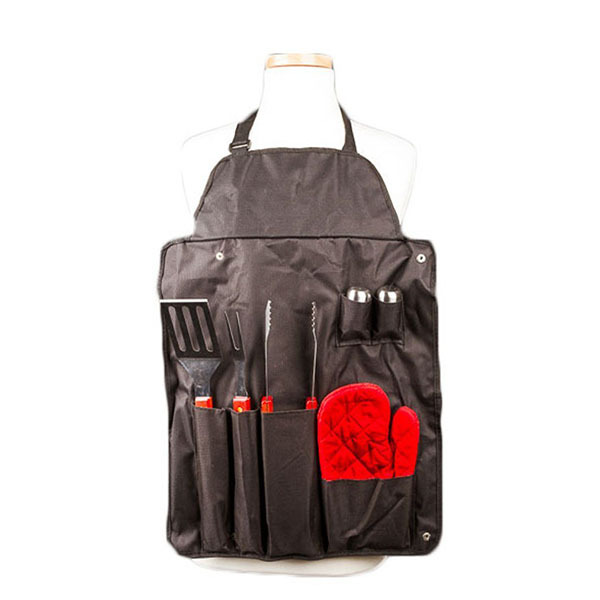 1.Handy BBQ apron for your summer festivities! 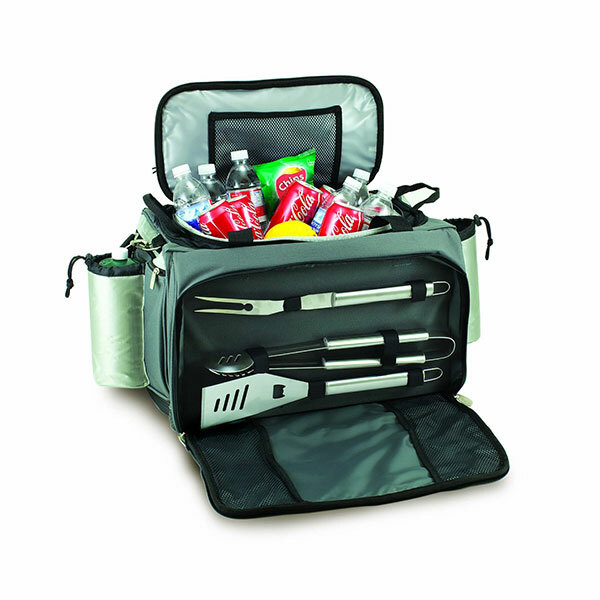 5.A compartment for each tool.